Heading to Mombasa, Kenya for a business trip or on a vacation of a lifetime is going to expose you to an incredible number of attractions. 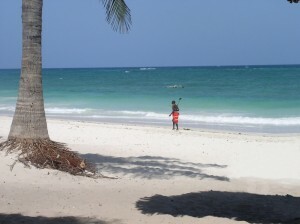 The most popular place where people go when they visit Mombasa is one of the numerous beaches here. These beaches offer white sandy shores and incredible turquoise water of the Indian Ocean. When you spend any amount of time at the beach, you will see some amazing things. Snorkeling or scuba diving will only add to your enjoyment on this trip. You may also want to consider some of the other incredible attractions that exist throughout this canyon city. Fort Jesus is considered one of the most popular destinations for tourists. This was built in 1593 by the Portuguese as a way to protect this important port city from invading nations and tribes. There were many battles and lives lost during numerous sieges that took place to the years. In one, a three-year siege saw 2,500 men barricade themselves inside to protect the city. Mombasa’s Old Town will take you back in time through narrow streets and alleyways. You will see incredibly carved doors and old mosques and churches that date back into the 16th century. You could decide to take a trip to the Gedi Ruins, which was a small Swahili town that was suddenly abandoned in the 1500s. Historians are unsure why the residents suddenly fled from this location. You may want to visit Haller Park, which was a former cement quarry that now hosts a variety of birds, reptiles, insects, and animals. There are miles of walking and bicycling trails and you can see crocodiles, butterflies, and a wide range of timber, fruit, and organic vegetables. If you want a more serene destination, Arabuko Sokoke Forest is what remains of what had been a vast rain forest. It is now protected land and home to six threatened bird species. If you haven’t yet booked your trip to Mombasa, contact Find Mombasa Hotels to get the most ideal accommodations.